Peter Capaldi has been named as the 12th actor to take on the lead role in BBC series Doctor Who. At 55 – the same age as William Hartnell when he was cast as the first Time Lord in 1963 – he has an impressive list of credits to his name on both film and TV. The Glasgow-born star is the first Oscar winner to play the part after winning the Academy Award for best live action short film in 1994 for Franz Kafka’s It’s a Wonderful Life. 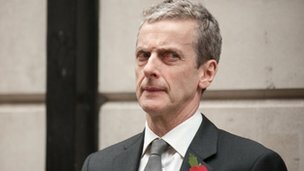 He became a household name thanks to his performance as foul-mouthed spin-doctor Malcolm Tucker in BBC series The Thick of It. That role saw him win a Bafta TV award for best male performance in a comedy role in 2010, and he was nominated for the same award in 2006, 2008 and 2013. His performance as Tucker in 2009 spin-off film In The Loop also saw him nominated for acting honours at the British Independent Film Awards, as well as London, Los Angeles and New York film critics’ awards. Capaldi attended the Glasgow School of Art and it was while studying there that he landed his breakout role in the 1983 drama Local Hero directed by Bill Forsyth and starring Burt Lancaster. Early roles in TV series Minder and Hollywood film Dangerous Liaisons led to a string of parts on shows such as Prime Suspect, the Crow Road and Neil Gaiman’s Neverwhere. More recently he appeared in Skins, The Devil’s Whore, Torchwood: Children of Earth and BBC mini-series The Nativity. 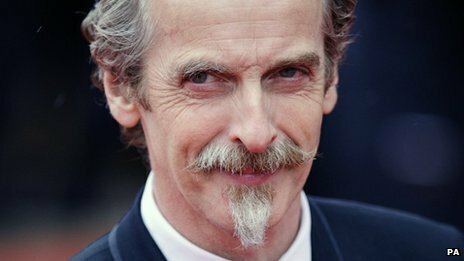 Capaldi has also written several TV shows, including a documentary about 500 years of Scottish portrait painting broadcast on BBC Four and Cricklewood Greats – a spoof about the heyday of the British film industry. He also wrote 1993 film Soft Top Hard Shoulder – which was nominated for a Scottish film Bafta – as well as writing and directing the 2001 gangster film, Strictly Sinatra. Capaldi’s stage credits include Professor Marcus in The Ladykillers at the Liverpool Playhouse, which later transferred to the Gielgud Theatre in the West End. A lifelong fan of Doctor Who, landing the role of the Time Lord is a dream come true for Capaldi. 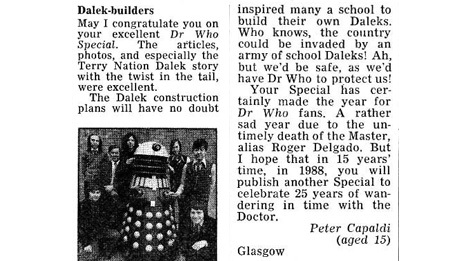 He even wrote a letter to the Radio Times when he was a teenager in 1973, praising the magazine for its Doctor Who special celebrating the show’s 10th anniversary. The Doctor Who casting comes after a busy year for the actor, who was seen on the big screen in zombie film World War Z and in BBC Two drama series The Hour, for which he was also Bafta nominated. He is currently filming new BBC One drama series The Musketeers, in which he plays Cardinal Richelieu and which will air next year. He will also appear in the forthcoming Julian Assange film The Fifth Estate as Guardian editor Alan Rusbridger and Disney’s Maleficent – a take on the Sleeping Beauty tale, starring Angelina Jolie.